The development of Transbay Parcel F will create core-located, transit-oriented Class A office space, hotel rooms, luxury condominiums, and a substantial supply of affordable housing in the most dense and dynamic neighborhood in San Francisco. F4 Transbay Partners LLC (F4), is a joint partnership consisting of Urban Pacific Development, LLC; Hines, the international real estate firm; and Broad Street Principal Investments, L.L.C., an affiliate of Goldman Sachs. The partnership acquired Transbay Parcel F from the Transbay Joint Powers Authority (TJPA) in July 2016. Plans for Parcel F, located on the north side of Howard Street at the western end of the new Transit Center, include a 60-story, 800-foot tall mixed-use tower containing Class A office space, a five-star hotel, and luxury residential condominiums at the top of the tower. It will be the fourth tallest building and second tallest residential tower in San Francisco. 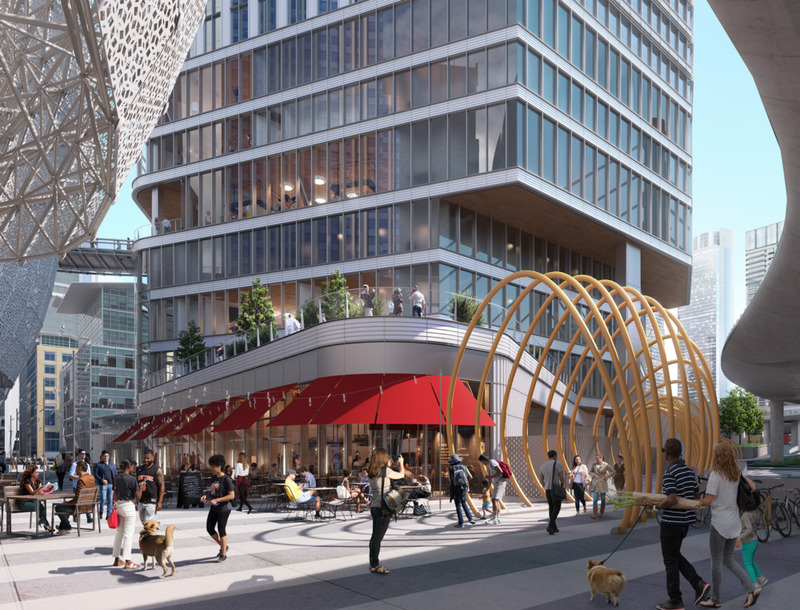 Parcel F is the last remaining site available for development of a super-tall building in downtown San Francisco, and one of three sites which has a direct connection to the Transbay Transit Center Rooftop Park via a planned pedestrian sky bridge. The tower will be designed by Pelli Clarke Pelli Architects in partnership with the local office of HKS, Inc.